As your fully licensed and insured local firm, get in touch with Away With It for house clearance in Hackney. Both efficient and affordable, we are flexible to all customer requirements and can provide same day quotes and collection, but only if this suits you. 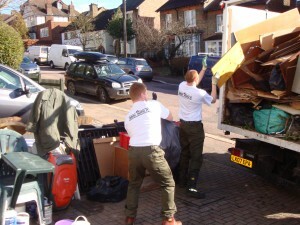 Our expert teams can take the stress out of house clearance and the job will be completed effectively and efficiently. 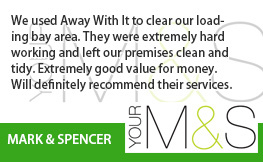 Away With It will also leave your property immaculate upon job completion. 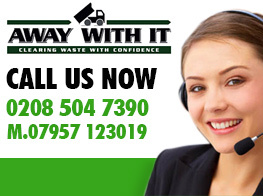 At Away With It, we are dedicated to providing the best possible service to our customers. 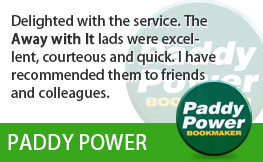 We have been operating in Hackney for years and, throughout this time, we have always ensured our customers are happy and satisfied. 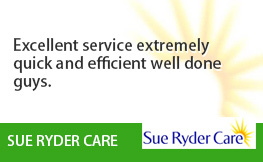 It is what sets us apart and keeps us seeing repeat clients. Our enthusiastic and hard-working teams respect your home at all times, clearing up as they go and doing a final big clean of your property at the end. You will be hard pushed to find this level of service elsewhere. You name it, our team can remove virtually all non-hazardous waste and we recycle 80% of what we remove. We know that budgets can be tight, which is why we will always give you the best possible price and advice. 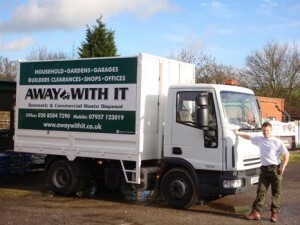 Unlike other house clearance firms, we charge by volume of waste removed, not by “load”. This often guarantees that our house clearance services are cost-effective. 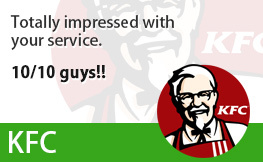 Usually, most potential customers are so pleased with our quotes that they give us the green light there and then! Don’t ever feel like your job is too small or too large. We are here to make your lives easier. Our house clearance teams can remove a single item or clear an entire property. From heavy white goods to old kitchen, we can remove anything non-hazardous from your home that you want cleared. We know that some firms forget that you are the customer. This is why Away With It focus upon fitting seamlessly around your plans. Top make your life easier, we offer quotes and services seven days a week, from early in the morning to late into the evening. 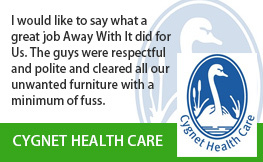 As a result, all of our customers don’t have to go out of their way to get their home cleared. Furthermore, with Away With It, you won’t need to stay at home all day waiting for us to turn up. Instead, we will liaise with you in advance, detailing specific arrival times and any other pre-clearance requirements. So, whether you’re in the midst of a house move or cannot get any time off work, we can clear your house when it is 100% best for you. Whether you want a single item removed, or a whole house emptied, our house clearance team will be ready to get the job done. Just give one of our friendly advisors a call to discuss your job and options. 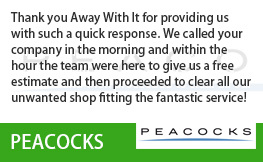 We can arrange the best time with you to give a no obligation quote and, if you’re perfectly happy, we can then organise a date and time best for you to clear your house. If you want to discuss your needs for house clearance in Hackney, or would like to receive a quote from our team, give us a ring on 0208 504 7390. We are happy and available to take your call 7 days a week, from 7am to 11.30pm.